On This Side or the Other, David Olney believes that the walls that separate us will disappear once we are buried in the cold, cold ground. 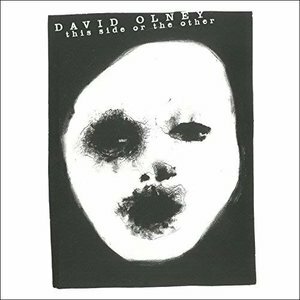 It's a wonder that David Olney is not better known. For over 30 years and more than 25 full-length albums, the singer-songwriter has consistently created tough, brooding songs about the human condition that reek of a questioning intelligence mixed with a literate wit. Olney's not afraid to peer into the darkness and laugh. His songs have been covered by Emmylou Harris, Linda Ronstadt, Steve Earle, and Del McCoury. His old friend Townes Van Zandt once compared Olney's abilities to that of Mozart, Lightnin' Hopkins, and Bob Dylan. Can there be higher praise? While fame has alluded Olney, the muse has always been with him. His latest release, This Side or the Other, finds him in fine form. The ten songs (nine originals and cowrites plus a cover of the Zombies' classic "She's Not There") are thematically linked by the idea of walls. Olney understands there are two sides to walls. Sure, they can protect, but they can also block one from experience. Olney's not talking about Donald Trump and the politics of it all, although messages about refugees, strangers, borders, and such are clear. He offers a bird's eye view and sees what goes on in the big picture. There is a spiritual aspect to the whole thing. He may not be playing god, but he frequently observes things from an omniscient point of view. Consider a song like "I Spy" that directly concerns the double life, where lies and truth are equally true and important. Olney sings in a low raspy voice about the fronts we wear for others without ever actually knowing ourselves. He can't tell you how he feels because he doesn't know what is real. Although Olney vocalizes in the first person, he knows more than he knows. Call it intuition. Call it instinct. There is something supernatural about it all. This persona pervades several other songs as well, including "Always the Stranger", "Running from Love", and "Border Town". Perhaps it's just the binary vision of the outsider and the providential nature of kismet. The guest senses the water in which all the fish swim even while gulping for air and growing gills to cope. "This strength is going to take me to my grave", Olney croons in an impassive manner. Fitting in or not fitting in—you still must pay the piper. "Death Will Not Divide Us" goes the title of another track that reminds us of our shared fate. But Olney believes that the walls that separate us will disappear once we are buried in the cold, cold ground. He sings to a martial beat as if to invoke our slow, steady walk to our funerals. It's an uplifting, hopeful track despite the topic of mortality. Olney also recorded a song that he said took him 25 years to write. "Stand Tall" tells the story of a person who changes by never changing. Experience is the price one pays for freedom knowing one will never be free. Or as Olney puts it, we may dig for gold, but we will never see it shine. That doesn't mean that the gold isn't there. It may initially seem the cover of "She's Not There" that closes the record does not belong with his original compositions because it is a lighter pop confection, Olney takes the lyrics seriously. He growls lines such as "Let me tell you about the way she looked / the way she acted / the color of her hair" like a detective in a film noir movie. The narrative is essentially a mystery. Olney milks this aspect of the tune and turns the familiar oldie into something new and strange. That's right in line with the rest of the record. This Side or the Other works to remind that the walls between the singer and the listener, the stranger and the friend, can be broached by paying attention to our differences and realizing it is our eccentricities that make us normal.